While troubleshooting DIMM errors/issues on a UCS C-Series, I ran into an issue where the ECC error counters would not reset after changing a DIMM and after multiple reboots. During the course of troubleshooting, I caused a bunch of other ECC errors causing a number of faults across the motherboard. All of these displayed an error saying “EQUIPMENT_INOPERABLE” with the DIMM and slot listed as inoperable and instructions to replace the DIMM. These errors would not go away, regardless of clearing the SEL in the CIMC, removing power and rebooting everything and fully booting the system multiple times. 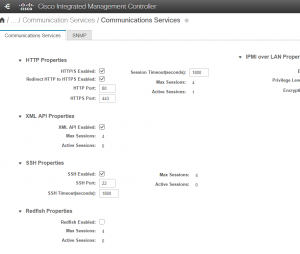 Open Putty or another SSH tool, put in the IP or DNS name of the CIMC and click connect. That’s it – fairly simple, but I haven’t seen a doc that say to do this, so use at your own discretion. 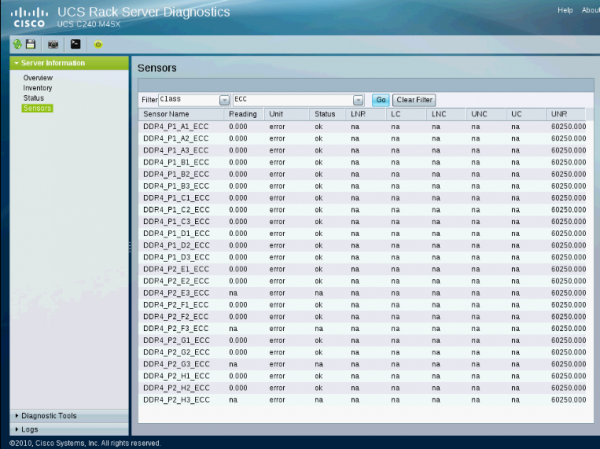 After resetting this, in Cisco Diagnostics under Server Information > Sensors, the DIMMs now list ECC error count (Reading) as 0 on all DIMMS. Look for this to change when you run your memory test suite again if you have a real problem. I recommend running a comprehensive memory diagnostic after clearing the ECC errors (which should cause them, if there is a true problem), to ensure that you do not have further problems with your DIMMs. Overview and experiences with HP BladeSystem. 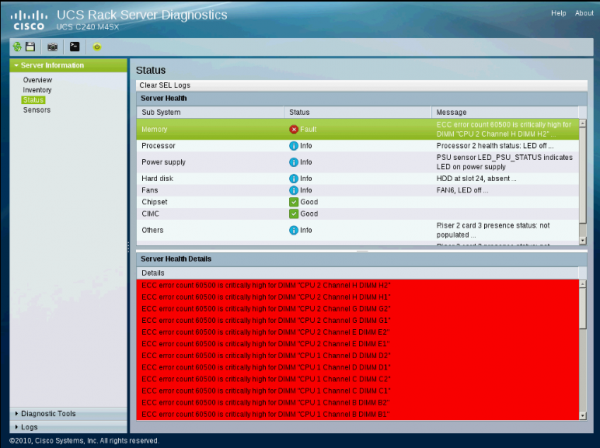 Dear author, action plan for resetting memory errors on UCS C Series Standalone servers is not fully correct.